Blossoms are brightening up the villages in southwest China's Yunnan Province. They are expected to stay in full bloom for as long as a month. 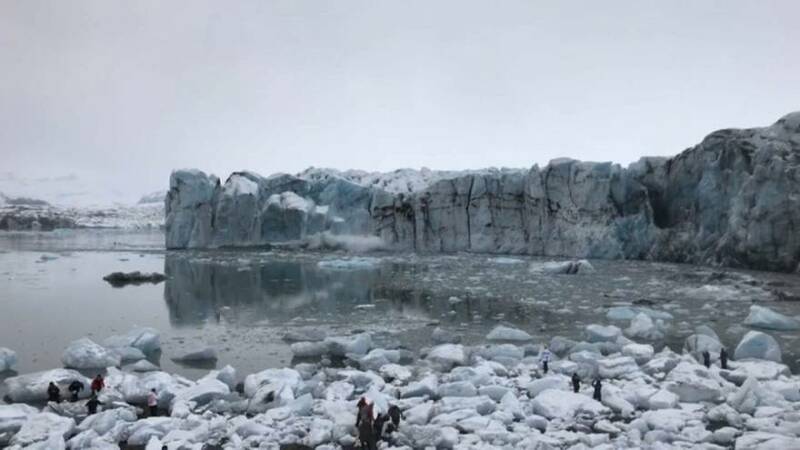 A glacier collapse sent a large wave towards the shores of Iceland, after ice chunks broke from the edge, a natural process called glacier calving. Mountain guide Stephan Mantler, who captured the phenomenon on camera said: “This was an extraordinarily large calving and much closer to the shore than usual". Athletics champion Usain Bolt, 32, competed against a motorcycle taxi in the Peruvian capital Lima... and won. In South Korea's Gangwon province, a fire killed two people and burned down more than 120 houses. The fire spread to the mountains and near the North Korean border. More than 2,500 people were evacuated.